Marvel Avengers: Endgame is coming soon! Tickets are already on sale for April 25 for the first showing of the movie in my area. To help get you in the mood for the movie, I wanted to share the cruelty-free Marvel Avengers Makeup that I’ve found. Get the official Disney Marvel Avengers Endgame licensed gear including t-shirts, toys, collectibles and more at Disney Online. Torrid, one of my favorite places to shop for years, has a pretty awesome Avengers fashion collection. I see a ton of shirts that I wish were in my size. For more Marvel Fashion Inspiration, check out my friend Cris’s blog, Kiss My Tulle! She has a Marvel Mondays series that I love. She’s put together some really cute fashion outfit inspiration for you. My favorite might be her Black Panther Inspired Fashion outfit. I’d wear the hell outta it! Ulta Beauty kind of low-key put out Marvel Avengers Makeup. It’s the Ulta Beauty x Marvel’s Avengers Collection. It currently has a large weekender makeup bag, an eyeshadow palette, a highlighter quad, matte liquid lipsticks, and lip glosses. I’m going to be completely honest with you. In my experience, Ulta’s Beauty line is very hit or miss, so I would look up swatches of the products before you decide to buy them. While I’m excited to see Avengers related makeup, the eyeshadow palette looks boring AF to me. Like, you have all of the Marvel Universe to work with and be inspired by and there’s no duochromes (that I can see) in that palette? Why the hell is everyone who designs palettes so boring?! 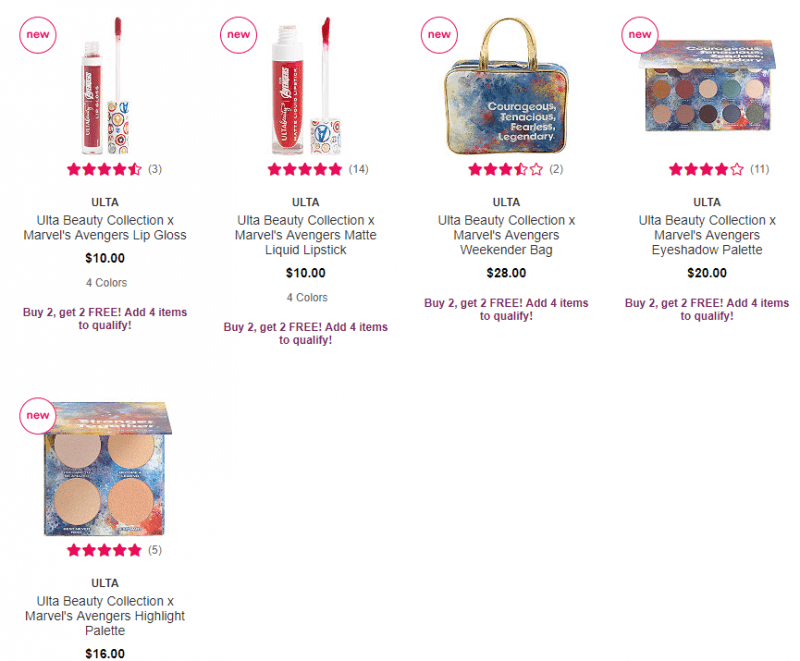 Ulta Beauty‘s collection is 100% cruelty-free. Now, I know some of you will mention the Sephora Avengers collection. Unfortunately, the Sephora House Brand Collection is not cruelty free. That is why I am not including them. 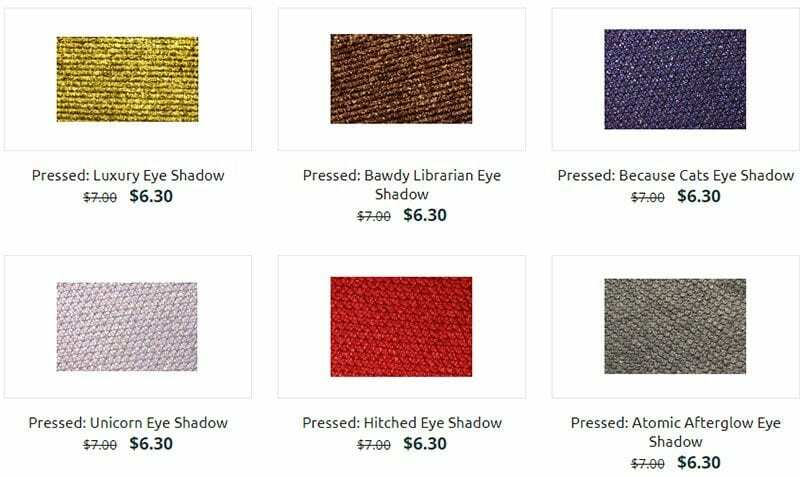 Last year, Besame put out an Infinity Stones Marvel Avengers Makeup eyeshadow collection. I found a few sets left at a site called Box Lunch. 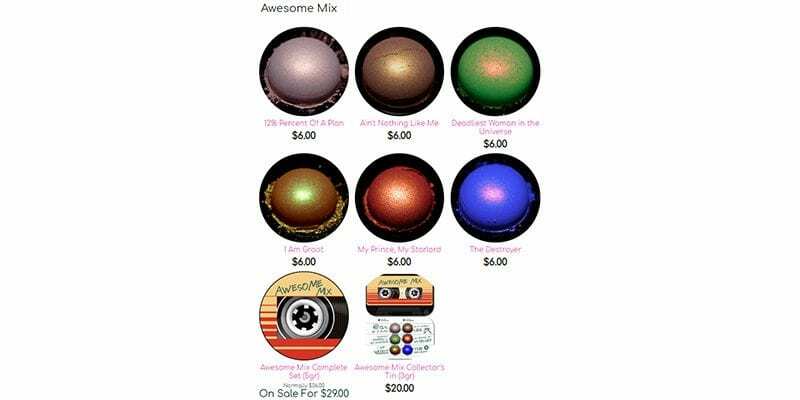 I’ve heard these eyeshadows are gorgeous with rich pigmentation. That purple speaks to me. Besame is 100% cruelty-free. The Besame Marvel Avengers Rollerball Lip Glosses set is on sale right now 20% off. It sounds like these just add a hint of color with lots of shine. Geek Chic released their Awesome Mix makeup collection inspired by Guardians of the Galaxy, who go on to show up in Marvel Avengers. 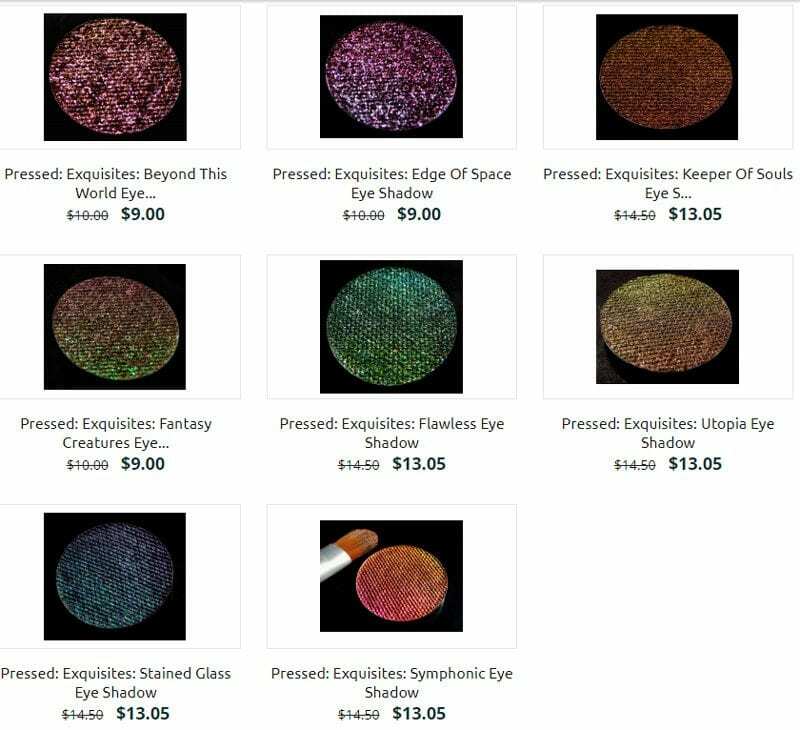 I think this set of eyeshadows is gorgeous because of all the duochromes. Definitely not boring! Geek Chic is an indie beauty company that is 100% cruelty-free and 100% vegan. 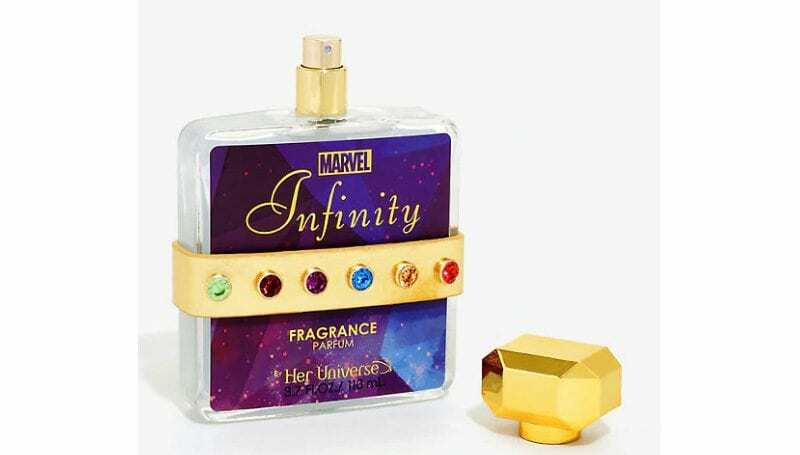 Her Universe created Marvel Avengers Infinity War Infinity Fragrance, which is currently 20% off on sale. This is a cruelty-free perfume, yay! Infinite Power has top notes of forest fruit that meld into middle notes of jasmine samba and honeysuckle that finish with base notes of sandal, amber, caramel and vanilla. It’s housed in a beautiful glass bottle topped with a gold tone cap and is brandished with a faux leather gold strap embellished with the Infinity Stones. 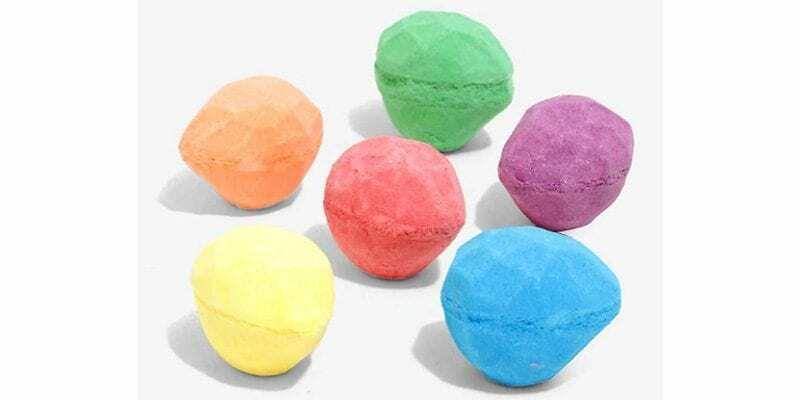 Her Universe created Marvel Avengers Bath Bombs. They’re currently 20% off. These are 100% cruelty-free and 100% vegan. I also found a few on Amazon. 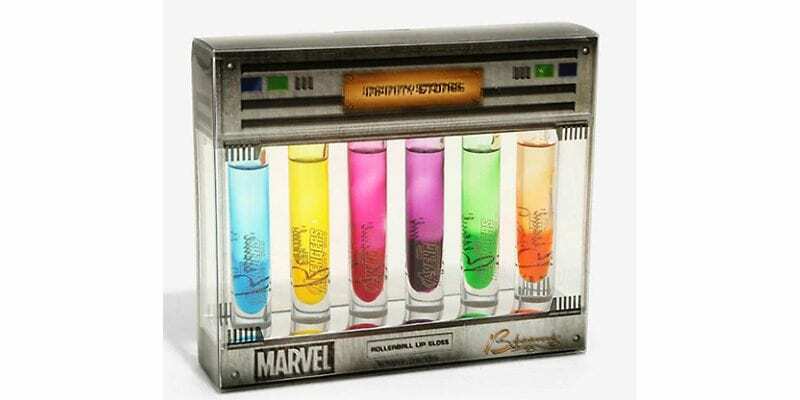 Her Universe Marvel Avengers Lip Glosses are also available. Yes, they’re cruelty-free. They’re currently on sale at Amazon and Hot Topic. 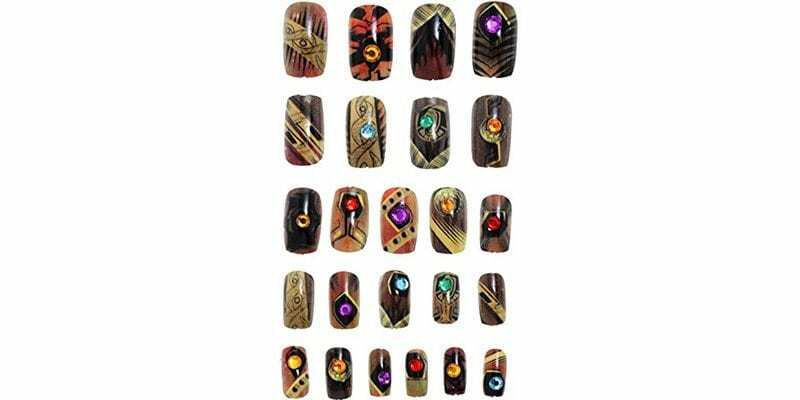 I LOVE the look of the Her Universe Marvel Avengers Nails that I found on Amazon. There are only a few of these left from what I can tell. If you love these, but they’re already sold out when you try to get them, here’s what I recommend. If you have a talented nail artist like Diamond (who does my nails here in Tampa), you can just show the artist nails like this and they’ll be able to recreate them. Alternatively, I found a cute set of Marvel Avengers Nails on Etsy! I did find this makeup bag that could also be a small purse on Amazon. 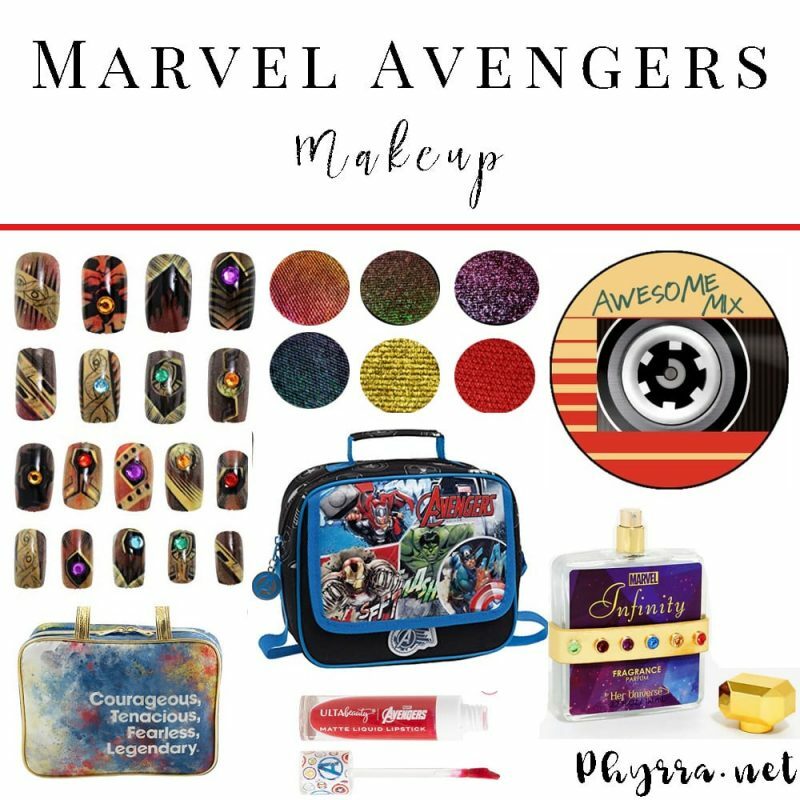 However, there are tons of cute Marvel Avengers Makeup Bag options on Etsy! You’ll probably love those more. 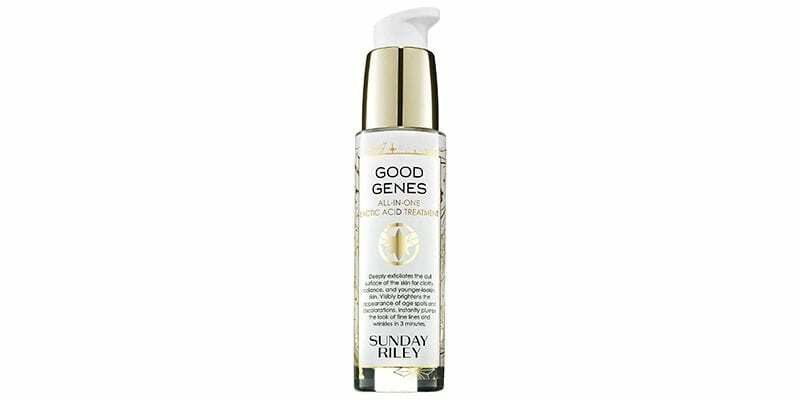 So there is a Sunday Riley Captain Marvel x Good Genes All-in-One Lactic Acid treatment available. I’m not into Sunday Riley skincare, but if you love it you might like this option. 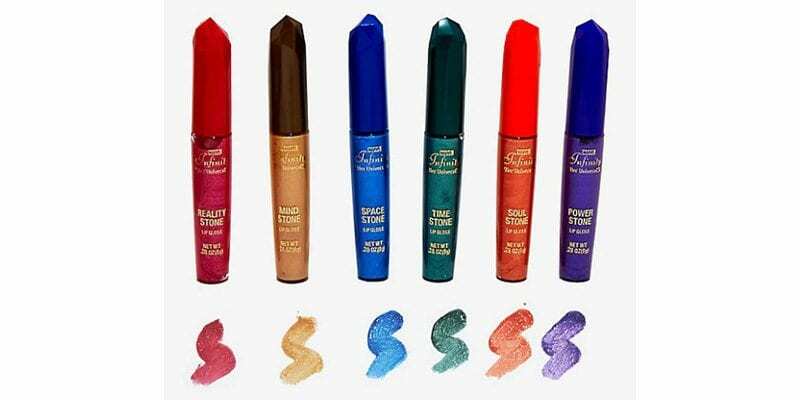 Sunday Riley is a cruelty-free makeup and skincare brand. They have a ton more options than just these pressed eyeshadows, but I thought these colors would grab your attention. I was honestly surprised by the lack of cruelty-free Marvel Avengers Makeup options! 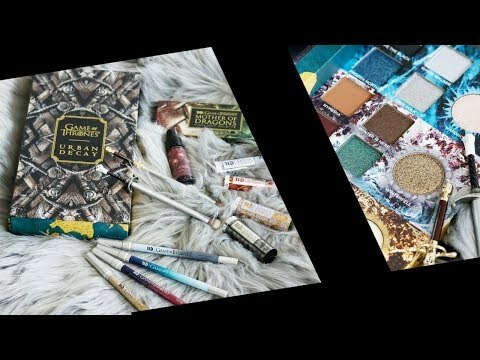 I thought there would be more Avengers inspired makeup collections out there, especially in the indie makeup community. If I find any other cool Marvel Avengers beauty products I’ll be sure to add them here. Looking for makeup inspiration for your Marvel Avengers Makeup? Check out some of my hooded eye makeup tutorials! You’ll love my Hooded Eyes Makeup Manual. It’s perfect for beginners and makeup enthusiasts alike! If you’re looking for real unfiltered results, this book is it. Check out JenLuvsReviews review of my book! I feel like so many of the Marvel makeup is just super disappointing & boring, even the packaging is nowhere near as amazing as it could be. I was hoping there would be amazing releases as someone who has been a fan of the MCU since basically day one. I guess I’ll just continue with my low-key Peggy Carter makeup that I always wear (somehow it has taken on a life of it’s on & became my signature look).